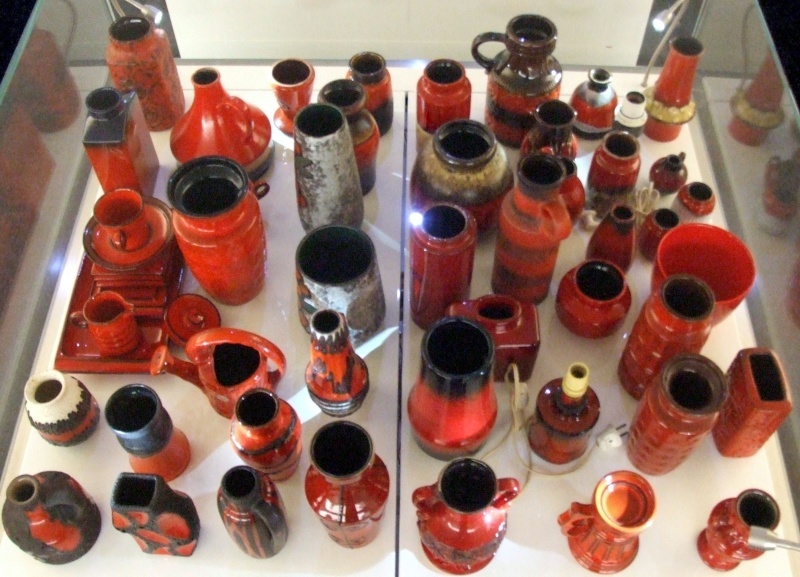 Exhibition of West Germany vases in Amsterdam: Vazenmania! 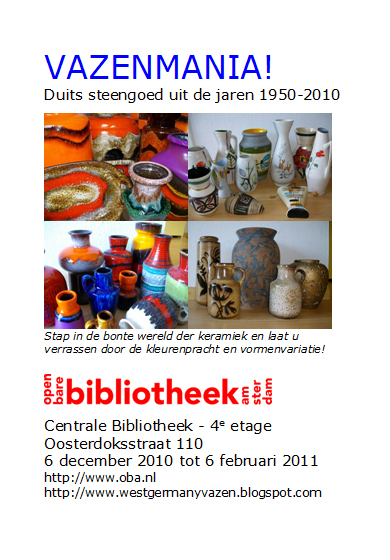 Please join us from December 6th, 2010 until February 5th, 2011 on the fourth floor of the Central Library - Public Library of Amsterdam for an extensive display of colourful vases. 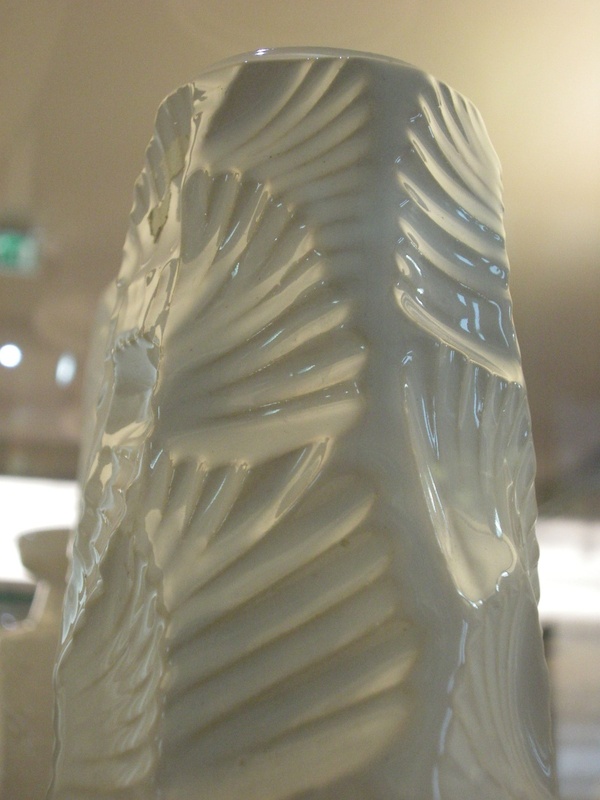 There will be an array of West-Germany vases that will be exhibited by colour & era. Pieces from ceramic companies like Bay, Carstens Tönnieshof, Ceramano, Dümler & Breiden, Jasba, Jopeko, Otto Keramik, Roth, Ruscha, Scheurich, Steuler, Strehla, Ü-Keramik, and many others will be put on display. The exhibition contains about 600 items. 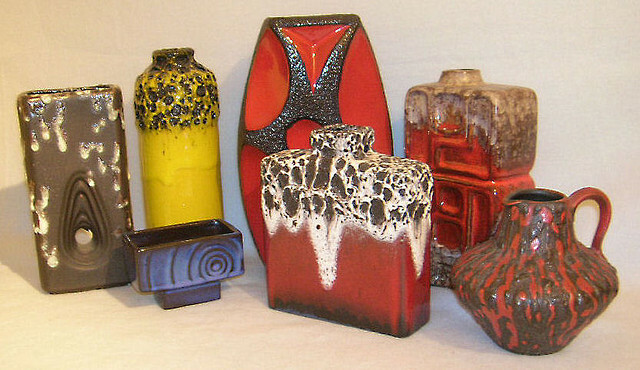 Most of them are vases from 1950 up to the present, but there are also some flowerpots, a lighter, a Christmas tree holder and more (West-)Germany stoneware. Van 6 december 2010 tot 6 februari 2011 is de vierde etage van de Openbare Bibliotheek Amsterdam op het Oosterdokseiland één groot kleurrijk vazenparadijs met West-Germany vazen. Te zien zijn bovenal vazen uit de periode 1950-2010, maar ook een enkele lampvoet, bloemensteker, kerstboomhouder plus ander kleurrijk Duits steengoed.